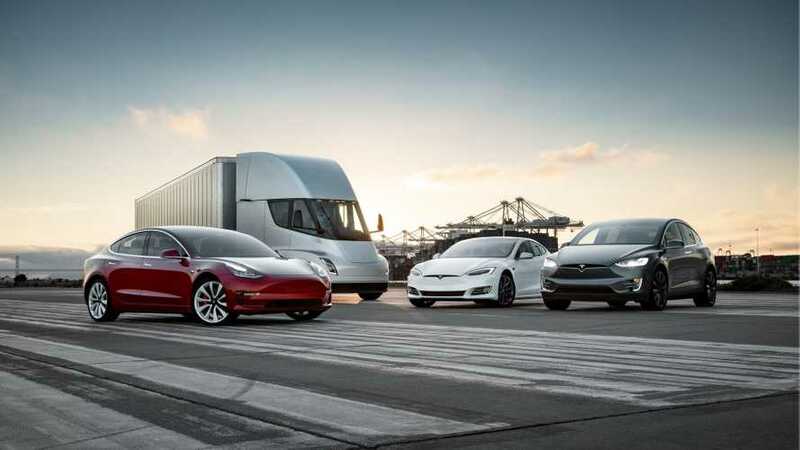 More than 530,000 electric cars delivered so far. 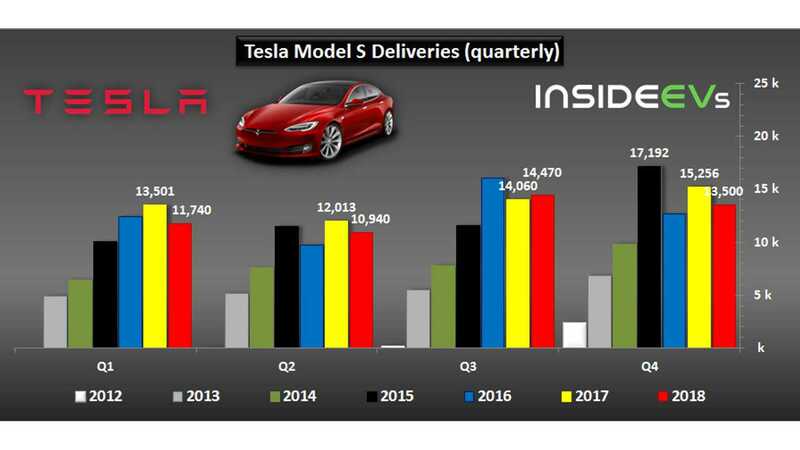 The forecast about 100,000 deliveries in Q4 turned out to be too optimistic as Tesla closed the quarter with around 90,700. 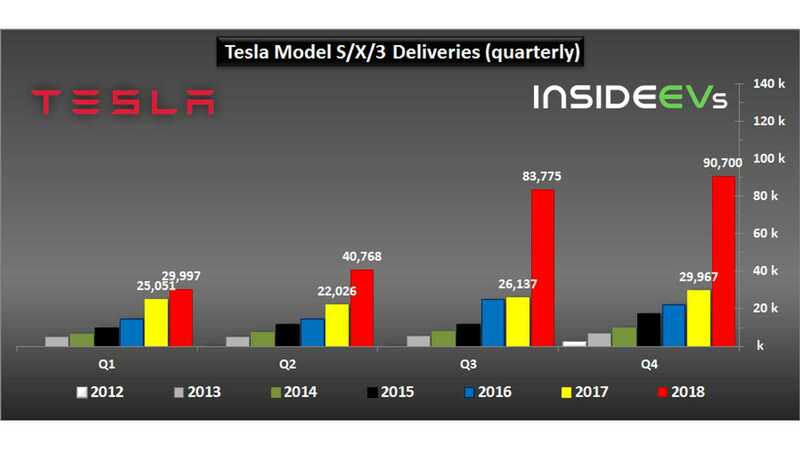 Bloomberg’s Tesla Model 3 Tracker in its latest update was quite close with an estimation of 154,791 Model 3 produced by the end of the year, as Tesla announced 155,662. Let's check out the all-time record fourth-quarter results (final numbers could vary by up to 0.5%). 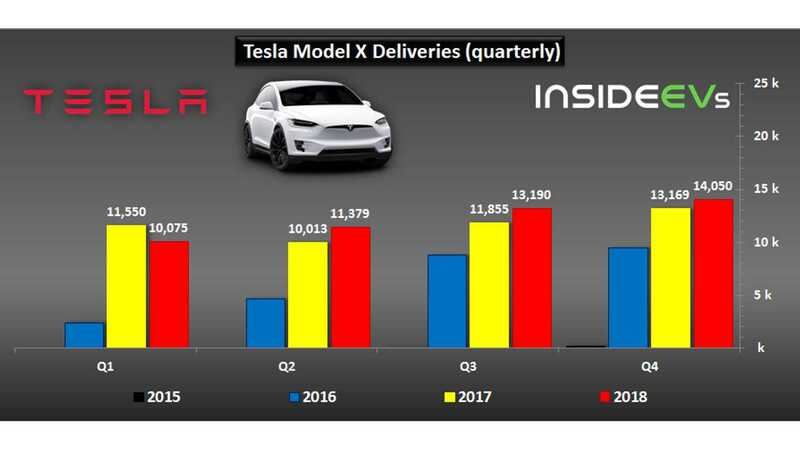 As you can see, Tesla's deliveries (around 90,700) were at an all-time high, about 203% above the same period of 2017 and 8% up compared to Q2 2018. On average, 986 cars were delivered per day. The cumulative number of S/X/3 delivered since 2012 increased to over 532,000. Production also hit an all-time high of 86,555 (up 252% year-over-year) for the quarter and 254,530 YTD (up 152%). During Q4, on average, 941 cars were produced per day. 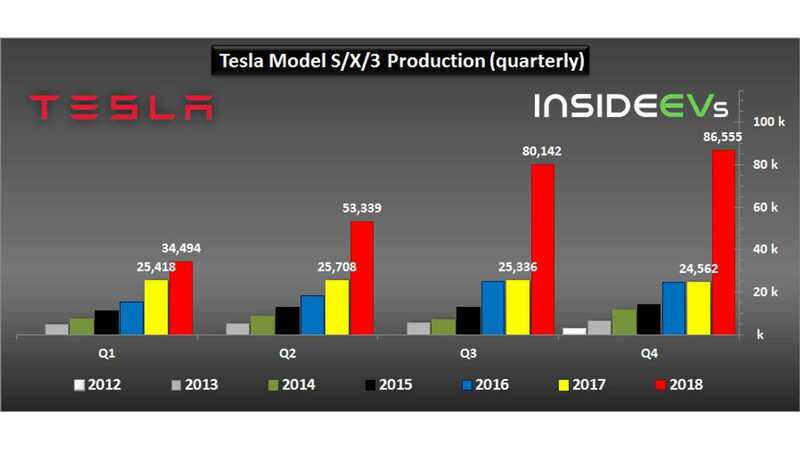 Tesla Model S and X sales amounted to around 99,394, which is 2% less than a year ago, but in general in line with the forecast of around 100,000 for the year. 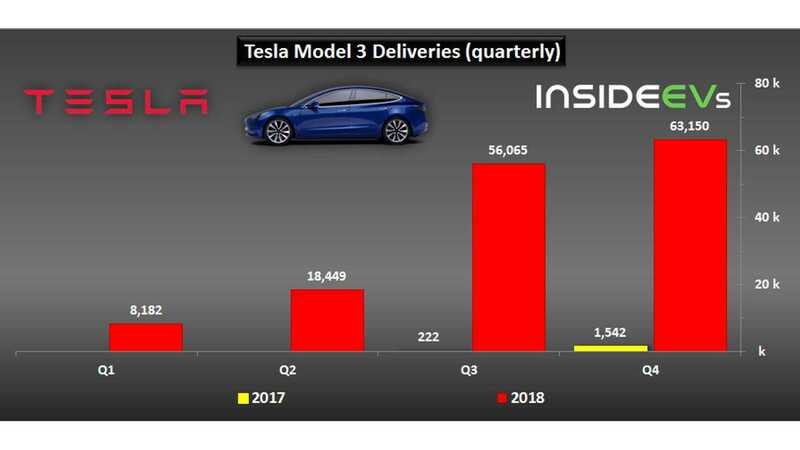 We can only guess that in 2019 sales of Model 3 alone will exceed 300,000. "There remain significant opportunities to continue to grow Model 3 sales by expanding to international markets, introducing lower-priced variants and offering leasing. International deliveries in Europe and China will start in February 2019. Expansion of Model 3 sales to other markets, including with a right-hand drive variant, will occur later in 2019."